How can you compete as "The One" among the many? When you list your home with The Palm Beaches Team, get ready for a most amazing real estate experience. We have more than three decades of proven performance in Listing, Preparing, Marketing and Selling homes Faster, for More Money. with the Least Amount of Hassle. Don't let your home languish on the market for hundreds of days. If it already has languished, call us when the listing expires or you decide to cancel due to non-performance. Call now to avoid a protracted sales cycle. Our Real Estate Site coupled with our proprietary, Integrated Marketing Programs are designed to bring qualified Buyers who are in the market to buy and looking for that special home . . . to yours. Click on the Links in the left column for lots of important information! Please click through all of them. There is no fluff in any of them. 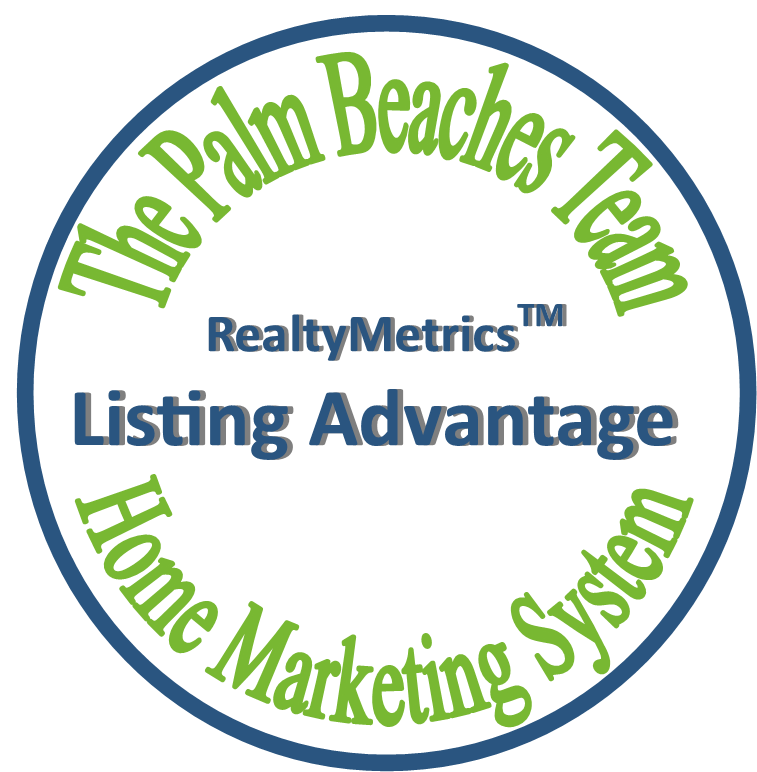 ThePalmBeachesTeam.com is your best resource for Buyers to find You!